By using an electromechanical resonator, scientists have produced a phonon laser — or what's being dubbed a phaser for short. But unlike the phasers of Star Trek lore, this new technology will leverage particles of sound for good and not evil, resulting in devices that could be used in ultrasound medical imaging, computer parts, and high-precision measurements. Image: Normal modes of vibration progressing through a crystal (with exagerrated amplitude motion). The idea of phonons was first introduced in 1932 by a Russian physicist named Igor Tamm. Simply put, a “phonon” is a particle of heat. But in this case, it’s vibrational energy, or the collective excitation of elastic atoms or molecules, that’s produced by sound. Another good way to think about it is as a lattice vibration. Phonons are important to understanding the behavior of heat and sound in crystals. They also play an important role in thermal conductivity and electrical conductivity. 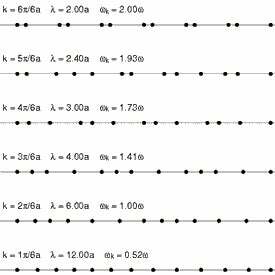 But as a recent paper by Imran Mahboob points out, it’s also possible to work with phonons in a way that’s very reminiscent to how lasers work. 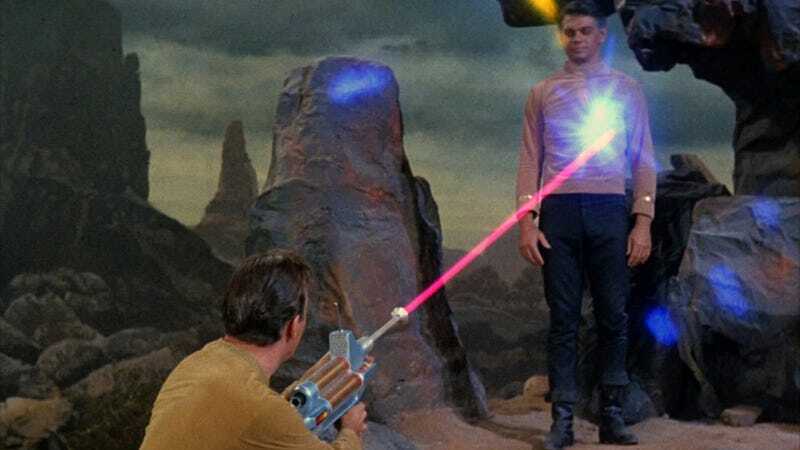 Interestingly (or frustratingly, depending on your intergalactic intentions), phasers can’t be used in outer space on account of it being a vacuum environment; unlike light, phonons require a medium to travel through. The phaser waves can't leave the confines of the device that's generating them. So in order for them to work in a Star Trek-ian sort of way, Mahboob told Wired that someone will have to figure out how to build structures onto the resonator that would allow for the transmission of vibrations out as energy. Image: Etched circuit that produces the sound laser (shown in false-color). Credit: Imran Mahboob. But in terms of potential real world applications, phonons could generate the mechanical vibrations required to build extremely tiny clocks (and replace bulky quartz crystals). Mann also suggests that it could be used for high-precision measurement, while its ultrasound frequencies could be used to scan objects or people for safety or medical purposes. Read the entire paper at Physical Review Letters. And be sure to read Mann’s entire article.